Sharyl Attkisson is an investigative correspondent for CBS News. They're definitely having salmon troubles in California, Oregon and Washington State. No doubt about that. The question many are asking, though, has to do with the massive relief plan that aims to help ... and the way it was snuck into the Farm Bill without congressional debate. 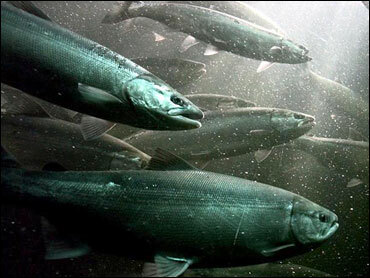 The $170 million salmon bail-out was added to the Farm Bill by California's own congresswoman, House Speaker Nancy Pelosi. That's on top of $60 million provided by Congress to the Pacific salmon industry last year. Consider that the "lost catch" for the $60 million in relief was $16 million. This year, the "lost catch" is estimated at $22 million, but they'll be getting a whopping $170 million in relief. Some digging around revealed there aren't all that many folks who fish for salmon, even in a good year. So where is all that money going? It turns out it does a lot more than just put emergency food in the mouths of fishermen who are living on the edge. There is no means test to receive the salmon relief. In other words, somebody could own a charter boat, be making a ton of money on other catches, yet still qualify for a check from the federal government. In some cases, a very big check ... for six figures. In some cases, two years in a row. Under the salmon-relief program, fishermen and business owners are guaranteed 100 percent of their income as compared to the best recent year they've had! Even some of Pelosi's colleagues in her own party expressed outrage to me over this type of massive earmark, given out to a small number of fishermen and business owners in her home state, with no congressional debate. (They didn't want to appear on camera for fear of publicly opposing their leader). They point out that folks are hurting all over the country: home builders, auto workers, you name it. But nobody is tapping them on the shoulder and saying, "pick your best year and the federal government will write you a check to make up for what you're not earning now." So, all things considered, the Pacific salmon industry should consider itself pretty lucky. The rest of America ... well, maybe they're not so lucky. Because they're paying the bill.